2008 marks the last vintage of Roanoke Vineyards Blend One and Blend 2 series. Starting with the 2009 vintage and moving forward you will find one main blend or prime blend now know as Prime Number. Blend 2 is known as the Cabernet Franc dominated blend while Blend One is the Cabernet Sauvignon based blend. I have always liked Blend 2 more, mainly because I am a Cabernet Franc fan. However, I thank that Blend One represents Roanoke Vineyards well and gives people who are not familiar with Roanoke, an insiders look to what you will find in the offerings from Roanoke Vineyards. At Roanoke, they love their blends. Heck, they are one of a handful, if not the only Long Island vineyard that has two releases of their Cabernet Franc and the only one on Long Island who have a single vineyard Cabernet Franc release Gabby’s and the standard. 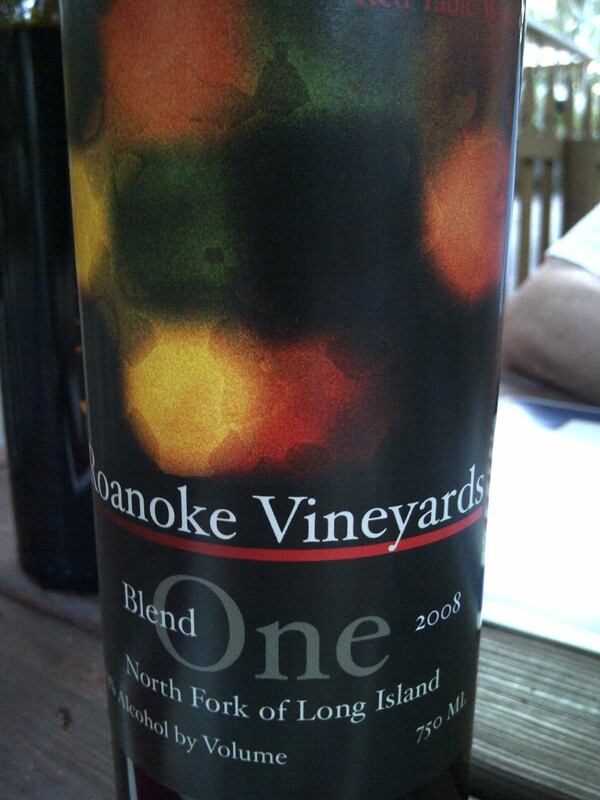 Roanoke Vineyards 2008 Blend One ($43) is 70% Cabernet Sauvignon, 15% Cabernet Franc, 15% Merlot, this according to Roanoke’s Blend Tech on their website. The nose brings elements of ripe blackberry, cherry, plum and Cassis. Hints of earth, sweet vanilla, clove and ground spices, tobacco. Notes of cocoa and dried herbs linger as the wine opens up after some time in the glass. The palate brought more of the fruit notes that I found in the glass but blackberry and Cassis dominated. Bramble notes with hints of cinnamon coriander nutmeg earth and vanilla mingled on the palate with some dried bay leaf and thyme. Well balance with bright clean acidity and smooth tannins. The finish brought some bramble like flavors with ground spices and dried herbs. 2008 was not a banner year on Long Island, but as I have been told and I will now tell you, seek out wines from top producers from down years, you can’t go wrong. This entry was posted in 2008, Blended Wine, Long Island, Red Wine, Roanoke Vineyards and tagged Cabernet Franc, Cabernet Sauvignon, Cassis, Long Island, Merlot, Roanoke Vineyards, Wine. Bookmark the permalink. Sounds like we may need to do a “Family” trip one of these weekends.